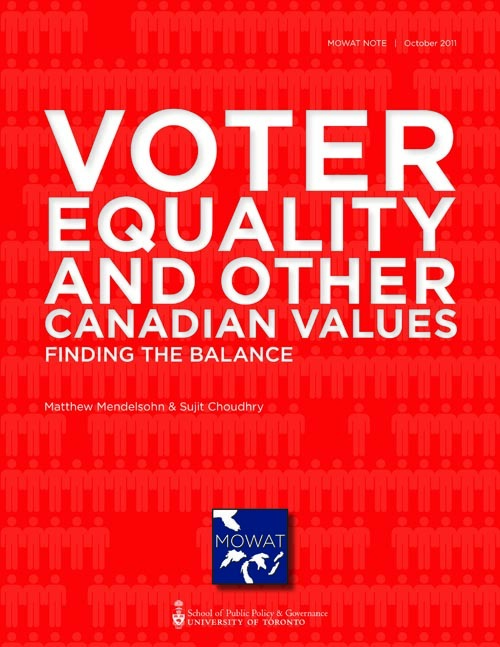 This Mowat Note identifies the constitutional, legislative and policy reasons why Canada so dramatically deviates from the principle of voter equality. It then explains if and how each of these factors can or should be addressed at present. It concludes with a proposed framework for a compromise piece of legislation that would deal with many, but not all, of the issues that produce such a skewed electoral map. Representation by population (rep-by-pop) was one of the principal forces behind the creation of Canada and is a key pillar of democracy. The principle that all votes have equal weight reflects the democratic norm that all citizens should have an equal say in who will be elected, who will raise issues in Parliament and who will have the right to use the legitimate power of the state to make decisions on our behalf. Although some deviations from the norm of voter equality are acceptable, they should be grounded in principles that are widely accepted and viewed as legitimate. Canada’s federal electoral districts deviate from the rep-by-pop principle more than they ever have in our history (see Figure 1). This is the result of Canada’s increasingly outdated rules and practices governing the distribution of seats in the House of Commons and our demographic changes. This problem is getting worse and, unless there is fundamental reform, will continue to do so in the future.